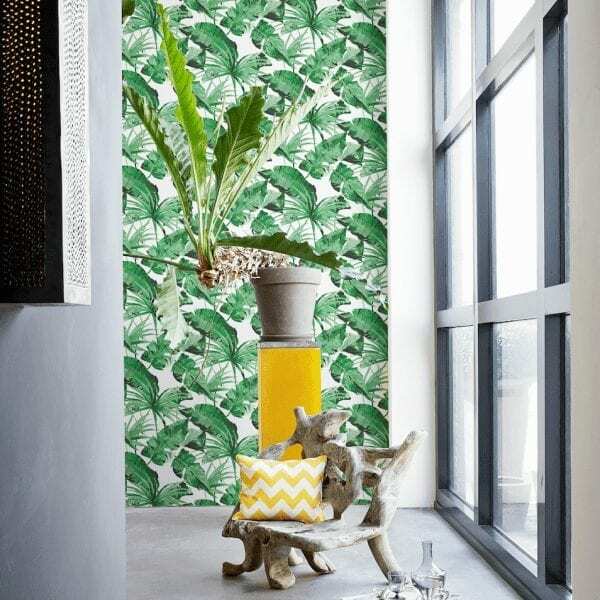 Now the trend has gone mainstream, there are quite a few jungle, leaf, banana leaf, monstera etc etc wallpapers around. 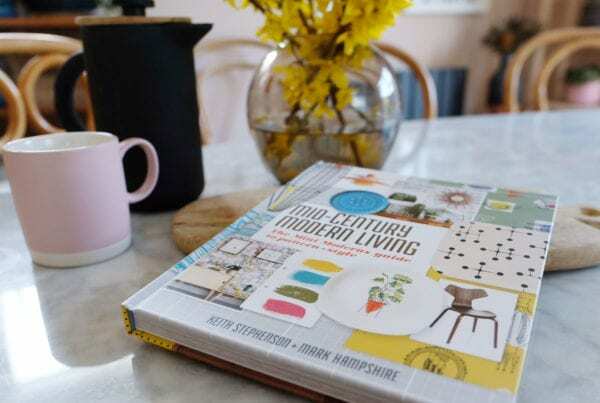 So we’ve been looking at some of the best ones out there in a range of price brackets for everyone! 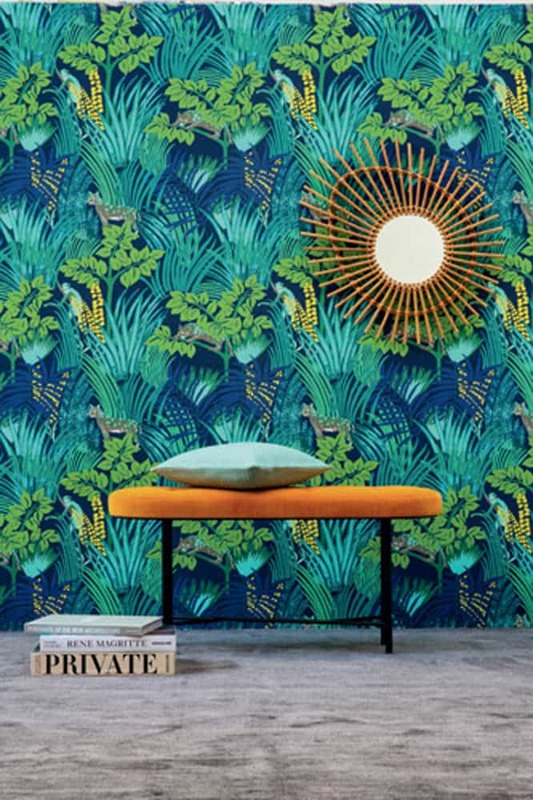 A luxurious, high quality wallpaper from one of the leading brands. 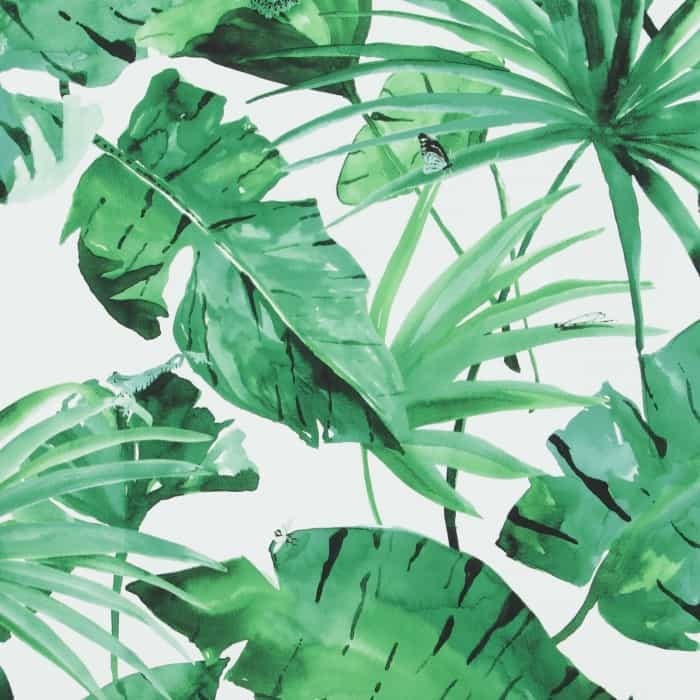 Beautiful and affordable! 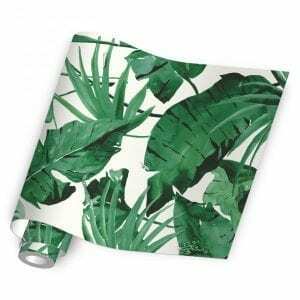 Made to contract quality and produced in the Netherlands, this wallpaper is sponge cleanable allowing you to put it up anywhere including the kitchen and bathroom. 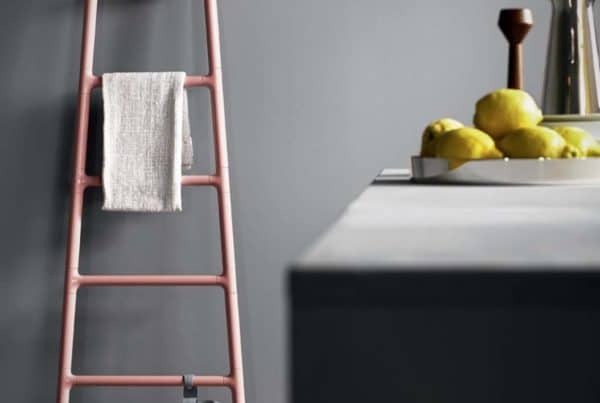 With the paste to wall application method, its easy to do it all yourself. 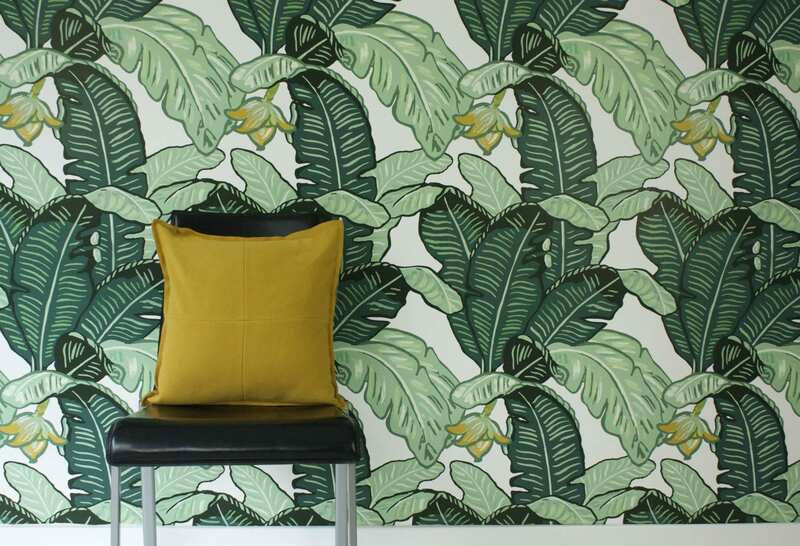 This classic and captivating banana leaf wallpaper design was hand painted by Rebecca and then printed digitally onto traditional surface print wallpaper. 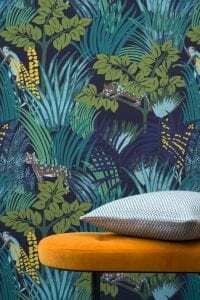 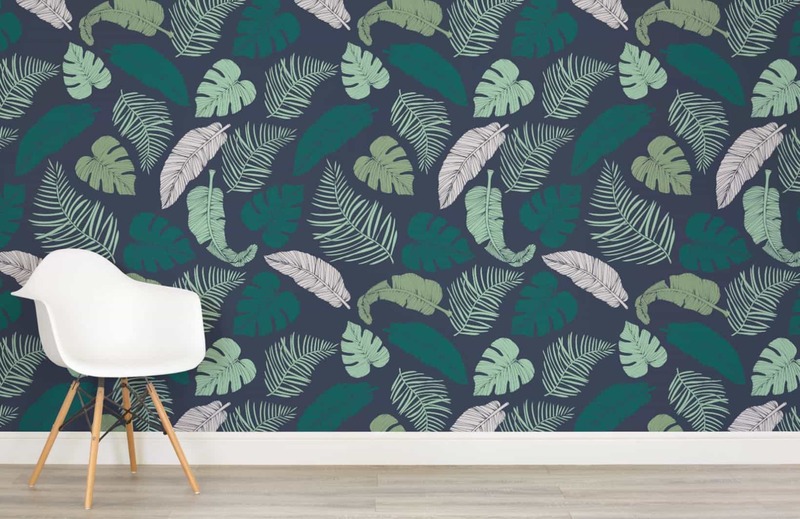 Make a statement by creating a stunning feature wall or go bold and decorate an entire room with this whimsical and tropical leaf print. 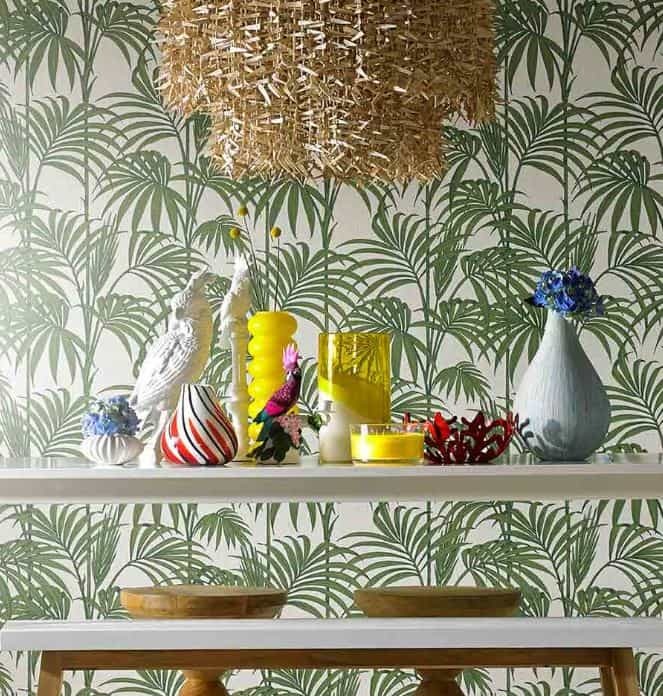 This fresh and vibrant design began life as a large scale, free hand painting on three, long rolls of paper on the studio floor. 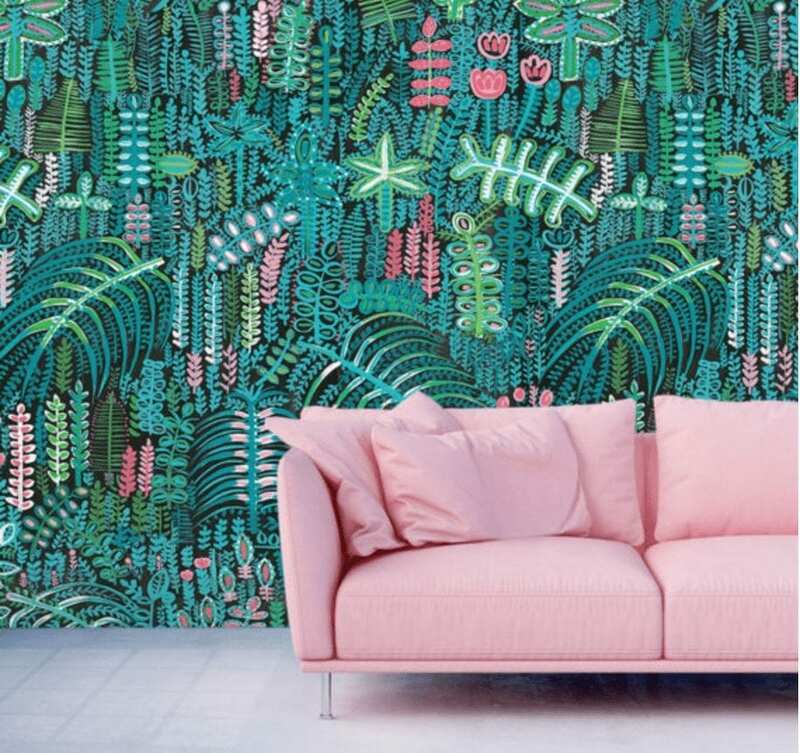 Luscious ‘Lagoon’ has been created using a fresh, tropical palette of verdant greens on a dark base, with small hints and pops of rose pink. The contemporary, flowing botanicals and florals flow across the design like a living wall.